This is a beauty from the Lexington Victorian Sampler collection. The proud new owner also had a cheval or standing mirror refinished in the same Annie Sloan Pure White Chalk Paint and distressed. Another before and after will come soon for that project! 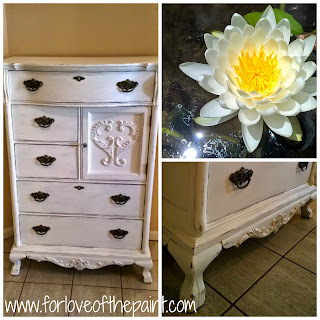 I don't usually use all white for my refinishes, but this has a beautiful, clean look to it, and a classic elegance. Here's a Color Story: Inspiration photo from my in-laws' lily pond! Timeless! Be sure to check out my other inspirations by clicking "Color Story". What inspires you? 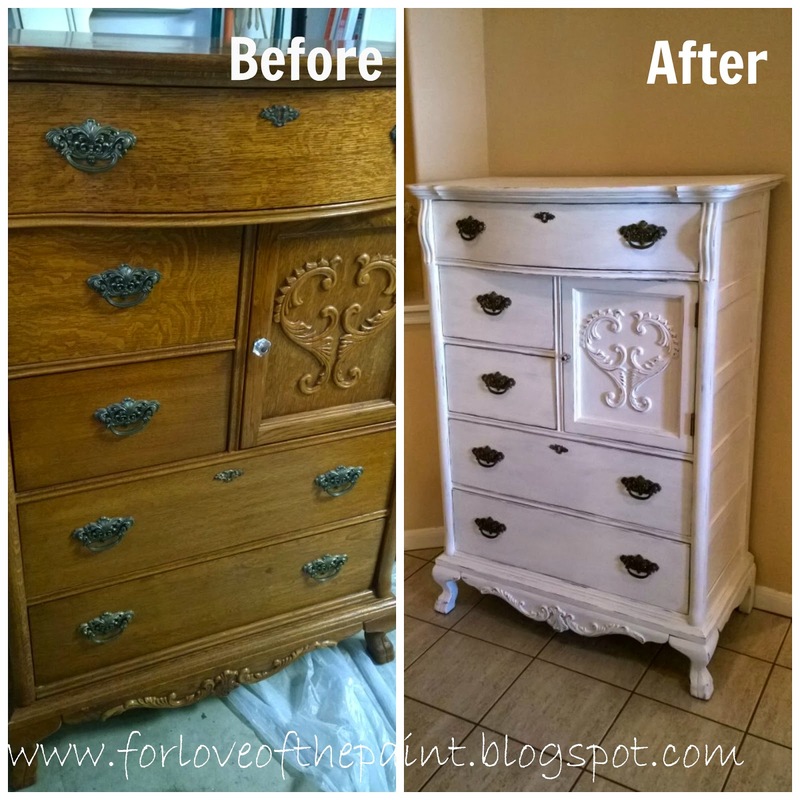 Send me your ideas and I may be able to translate them into my next furniture refinish!